Maryland’s department of motor vehicles can suspend a driver’s license for a variety of reasons, including driving under the influence (DUI/DWI/OUI), driving without insurance, receiving too many moving violations, tickets or points, failure to pay child support and failure to pay a court-ordered fine. There may be ways to avoid having your driver’s license suspended or to get it reinstated once it’s been suspended or revoked. 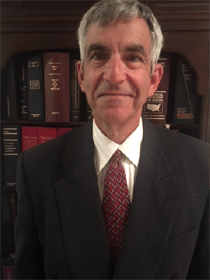 Baltimore Attorney Marc Atas has experience representing clients in driver’s license suspension cases and can explain your legal options and can also advocate on your behalf in court, working to keep your license from being suspended or advocating for a brief suspension. Attorney Marc J. Atas has compiled a list of the most frequently asked driver’s license questions. If your question is not answered here, please feel free to contact us the question and we will be happy to answer it. Is an out of state driver’s license valid in the State of Maryland? Driver’s licenses from other States are recognized in the State of Maryland; however, once you have established a residence in the Maryland for more than thirty days you have an obligation to get a Maryland driver’s license. If you have a suspended out-of-state license, you cannot usually acquire a Maryland driver’s license. If your out of State license becomes suspended at any time, the State of Maryland will then suspend your new Maryland drivers’ license. Can I use my driver’s license in a foreign country and can a person from a foreign country use his driver’s license in the State of Maryland? Most countries, including the United States, have signed an international agreement allowing visitors from other countries to use their own licenses in other countries, however prior to entering another country you should contact the Consulate or Embassy office for that country to find out whether your license will be valid. To determine whether your foreign driver’s license is valid in the State of Maryland, you can call the U.S. State Department or visit their web site at www.travel.state.gov. If you are traveling to a foreign country or traveling to the United States from a foreign country you need to receive what is called an international driver’s permit, which is issued by the American Automobile Association. This international driving permit translates your driver’s license into ten languages and while this permit will not meet the requirements of a regular license, it does translate the important information that appears on your driver’s license. Although many countries do not recognize United States driver’s licenses, most countries will accept an international driving permit. International driving permits are honored in more than 150 countries outside the United States and are not intended to replace a valid United States license and should only be used as a supplement to a valid license. International driving permits are not valid in an individual country or residence. Before departure you can pick up one from an automobile association authorized by the United States. The State Department of the United States has designated the American Automobile Association the only authorized distributor of international driving permits in the United States. International drivers’ licenses cannot be purchased on the internet. An international drivers license cannot be used if your Maryland drivers license has been suspended or revoked or in an attempt to avoid taking drivers education classes. International drivers’ licenses are simply intended to be used as a translation of a driver’s license for use when traveling outside the United States. International law is very clear about using an international permit in lieu of a driver’s license. If you intend to stay in a country for more than thirty days or in the State of Maryland for more then thirty days, you should contact the Consulate Office to see whether you need to apply for a valid Maryland driver’s license. If I get a ticket in another state will that affect my Maryland drivers’ license? Forty-eight states belong to an agreement called the drivers’ license compact for non-residences violators’ compact. The only states that don’t belong to this compact are Michigan and Wisconsin. When you get a ticket in one of the forty-eight states that participates in the compact, the Department of Motor Vehicles in the state where you received a ticket will transfer that information to the DMV to the state you reside in. That out-of-state violation then affects your driving record in the state that you live in even though you got the ticket out of state. This is true in all forty-eight of those states. Getting a ticket outside of Maryland will result in the entry appearing on your record but will not lead to points being added to your license. This ultimately affects your insurance rates since the ticket appears, but does not affect the amount of points you have. Record of your out-of-state ticket will also be available to the court when it is checking your driving record, thus you must disclose the tickets or risk the court thinking you have misrepresented yourself. What will cause my drivers license to be suspended or revoked? Each driving offense carries a certain amount of points. In the State of Maryland, receiving eight points from either one or several tickets added together within a two year period causes your license to be suspended; receiving twelve points can cause your license to be revoked. Professional drivers, under the State of Maryland rules, may not have their licenses suspended until they have accrued fourteen points and cannot have the licenses revoked until they have eighteen points. Before the Department of Motor Vehicles can suspend or revoke your driving privileges, you are entitled to have a hearing at the Office of Administrative Hearings. Just because you have eight or twelve points doesn’t mean you are automatically suspended or revoked. In fact, there is a high likelihood that your license will either not be suspended or revoked, or that the period of suspension or revocation will be shortened, especially if this is the first time you have accumulated this amount of points. It is extremely important for you to take a lawyer to these hearings, to avoid the suspension or revocation. If you have an out of state drivers license and plan to apply for a Maryland drivers license in accordance with the drivers license compact, the MVA will request your driving record from the other states and review it for convictions. For most types of convictions the MVA will only record the conviction information itself and will not assess the points, however, if you have been convicted with one of the serious violations identified by the driver compact, the MVA will record the conviction information and the points associated with the violation. The number of points assessed is equal to the number that would have been assessed if the conviction had occurred in Maryland. Based upon your out of state conviction, the State of Maryland may also take other action including suspending or revoking your Maryland drivers license in accordance with Maryland law. The conviction for which you will receive points and for which you can either be revoked or suspended. Convictions include manslaughter or negligent homicide, driving under the influence, any felony in the commission of a motor vehicle, leaving the scene of a personal injury automobile accident. While convictions for additional offenses are reported to the State of Maryland, no points will be assessed. May not assess points on the remainder of the multiple charges. When can my Maryland drivers’ license be suspended or revoked? A driver’s license can be suspended if you receive too many points or tickets, refuse to take a blood alcohol test, fail to appear in court for a traffic ticket or fall behind in your child support payments. What will happen if I am caught driving while suspended or revoked? If you are caught driving while your license has been suspended or revoked you will most likely be arrested and face substantial fines and jail time. The maximum fine for driving while suspended can be up to one year in jail and a $1,000.00 fine. If you are charged with driving while suspended, the first thing you need to do is find out why your license has been suspended so you can cure the problem. In the event of a suspended license for failure to appear at a court hearing you should immediately ask the court to withdraw the warrant for your failure to appear and should request the court to notify the DMV that your license be reinstated pending a court hearing. Suspension for failure to pay prior tickets should be corrected by paying those tickets and having your license reinstated before you go to court. Suspension for failure to pay child support, can be dealt with by making arrangements with the child support administration to bring your child support up to date and to allow them to start a wage attachment to keep your payments in check.